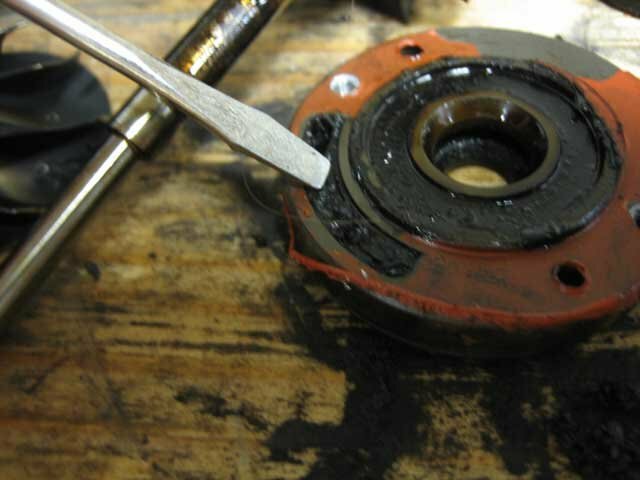 The increased slate of issues lubricants have to meet (or will have to) as technologies to lower emissions are required, place the burden of expertise on to the customer. AMSOIL wants to ensure the customer these issues have been addressed long before the standard reaches the marketplace. Other problems which occur in new vehicles such as design flaws or specific engine wear/sludging issues are also addressed by AMSOIL’s technical staff swiftly. The superiority of their knowledge and resources available can result in an immediate solution giving drivers more time in between these known problems requiring repair or often solving the problem entirely in both engine and transmission. 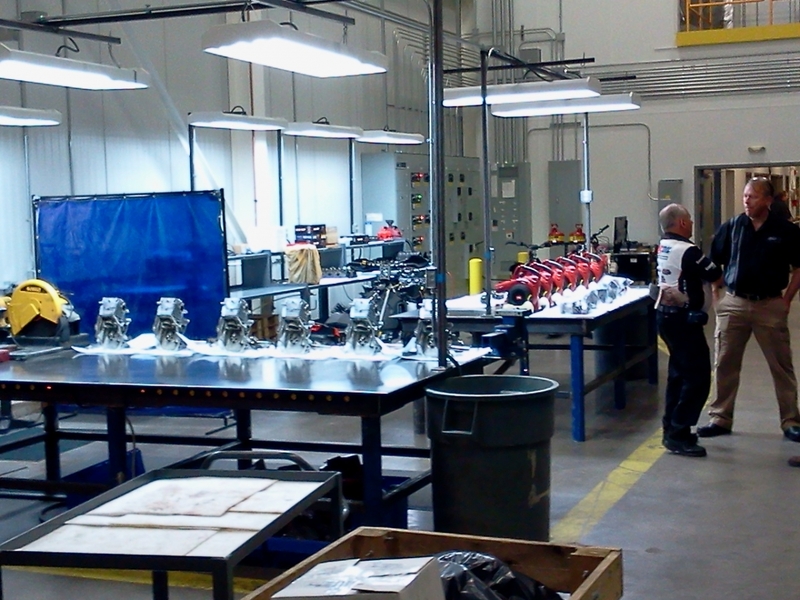 The industry trend toward smaller engines that deliver increased power and fuel efficiency has been well documented. The AMSOIL Newsstand contains several articles about the key technologies that enable today’s advanced engines – turbochargers, gasoline direct injection (GDI) and variable valve timing (VVT). These articles have mainly addressed how these technologies affect motor oil. In short, they’re brutal on oil. It’s one of the reasons more automakers are installing synthetics at the factory. To summarize, GDI technology locates the fuel injectors directly in the cylinder (hence the name), as opposed to the manifold. This arrangement allows for greater control over injection, allowing engineers to fine-tune engines for greater efficiency and power. A side-effect of this process, however, is fuel contaminating the oil. As fuel is sprayed into the combustion chamber, it can wash past the rings and down the cylinder walls, into the oil sump. Ford* has seen the issue frequently enough to release a technical service bulletin (14-0040) titled “Fuel Odor From Engine Oil and/or Engine Oil Level Overfull” to address F-150 trucks equipped with the 3.5L Ecoboost* engine. Fuel dilution varies by engine type and driving conditions, with some vehicles showing no issues. There are two main side-effects of fuel in the oil. First, fuel thins the oil, sometimes reducing the viscosity below the specified grade. 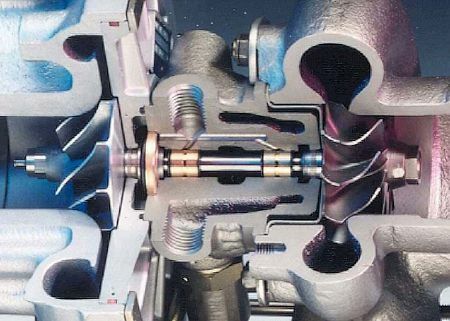 If not accounted for in the design of the engine, this can affect wear rates and have an effect on systems that use the oil to function, like VVT. Second, significant fuel contamination increases the rate of oil degradation. For these reasons, oil analysis labs typically condemn oil samples when the fuel content is greater than 5 percent. Many GDI engines are turbocharged (TGDI). Turbos push more air into the combustion chamber, and tuning for efficiency can improve fuel economy, especially when combined with other technologies, such as direct injection. Operating at up to 150,000 rpm on exhaust gases that can exceed 1,000°F, turbos create extreme conditions that can cause low-quality oils to quickly break down, creating deposits and shortening the life of the oil. By 2020, industry experts predict nearly every new vehicle sold will come equipped with GDI technology, and the vast majority will be turbocharged. Many motorists – and even more in the future – probably see only the tremendous benefits of improved power and fuel economy from their TGDI vehicles. Most don’t realize the toll modern engines take on motor oil. Like most vehicle manufacturers, AMSOIL has long recommended different service intervals based on “normal” or “severe” driving conditions. Turbocharged vehicles are automatically included in the severe service category due to the extreme heat they generate. To ensure customers have the information they need to properly maintain their vehicles, a notice will soon be added to the AMSOIL Product Guides at www.amsoil.com that reminds owners of turbocharged vehicles to follow the severe-service recommendation. That means customers using Signature Series Synthetic Motor Oil in TGDI engines can extend drain intervals up to 15,000 miles/700 hours/12 months, whichever comes first, and should only extend oil changes beyond that with the guidance of oil analysis. As proven in numerous tests, AMSOIL synthetic motor oils deliver outstanding protection for these challenging engines. For example, the TEOST Test (see graph) determines an oil’s tendency to form deposits at high temperatures and is a good indicator of turbocharger protection. In the test, Signature Series 5W-30 Synthetic Motor Oil minimized deposits and easily surpassed API SN requirements. 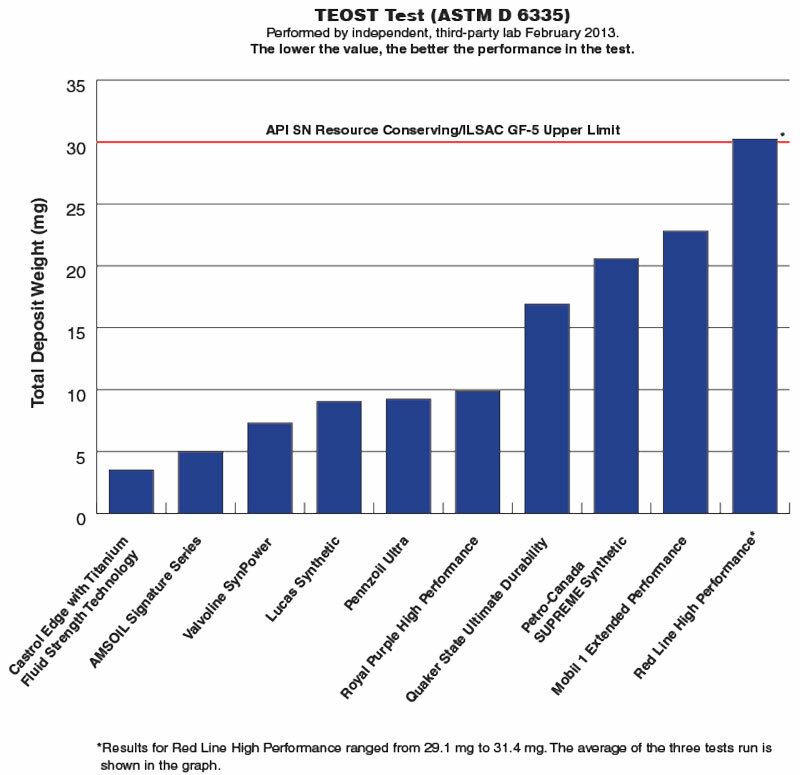 In the extreme heat of the Sequence IIIG Test, Signature Series scored 86 percent better for piston deposits than required by API SN, even after doubling the length of the test. Here at our Omaha location we get a lot of Subaru WRX and STI owners who know the trouble the run of the mill synthetic causes if it’s not the true PAO base 100% as AMSOIL Signature Series. With AMSOIL Signature or European Series you never have to worry about coking or burnt deposits caused by other so called “fully synthetic” products as long as you follow the severe service oil change interval. AMSOIL is the key to enjoying long life turbocharged performance. Even in older cars with turbos (Corvair, Chrysler Laser, Mitsubishi 3000GT and so on) can enjoy better performance using our Signature Series. This would never happen with a top quality synthetic motor oil. 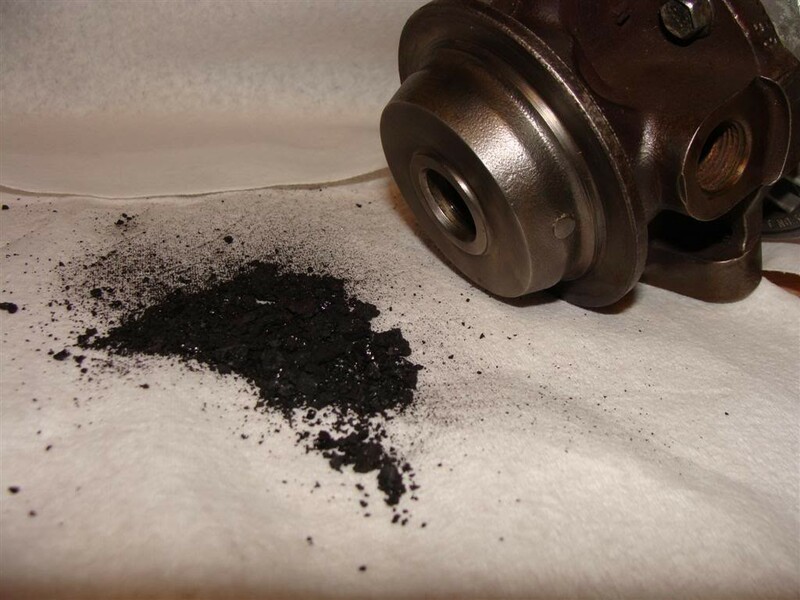 Material extracted from turbo’s oil ports due to inferior motor oil choices. The above shows how close the oil gets to extreme exhaust temperatures. 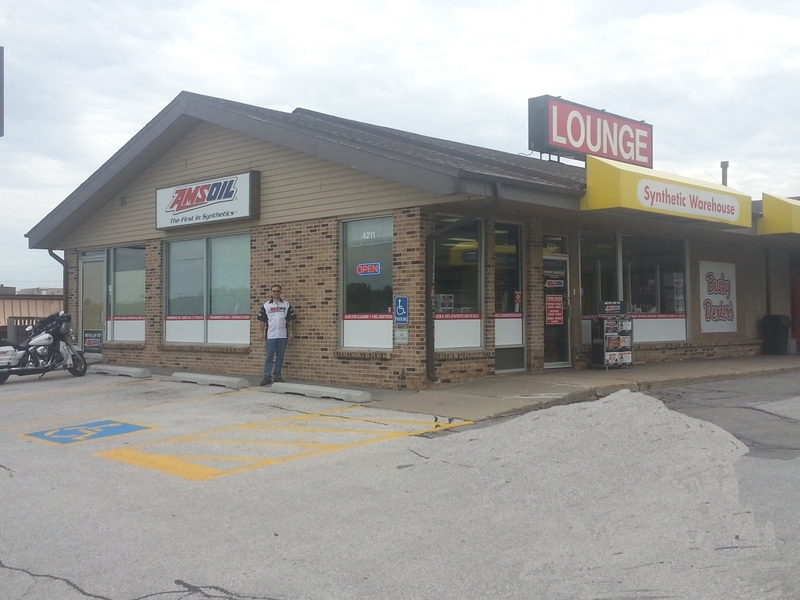 Visit our Omaha location at 4211 South 84th St. Just down the hill from L and across the street form the QT fuel stop. Note – this link opens an awesome Turbo 101 learning page by Honeywell. I have used a 5W-30 motor oil in my 1964 Mustang for many years but now am considering changing to an Amsoil ZRT 10W-30 full synthetic to take advantage of the higher ZDDP content. In the past , I have personally observed how much easier 5W oil flows compared to 10W oil at even temperatures as high as 40F or 50F. 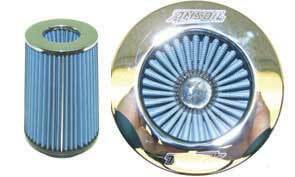 I am concerned that the AMSOIL ZRT 10W oil may cause added wear on my engine when I am starting it up because of its higher viscosity. My Mustang engine now has over 600,000 miles on it since I bought the car in Council Bluffs in 1964. It was overhauled in 1989 at 450,000 miles. Do you think that using the higher viscosity ZRT 10W-30 oil might cause a wear problem for starting my Mustang engine in cooler or cold temperatures? What about mixing the ZRT 10W-30 oil with AMSOIL Signature 5W-30 oil to achieve a lower oil viscosity? Is that feasible to do or would that lead to problems? 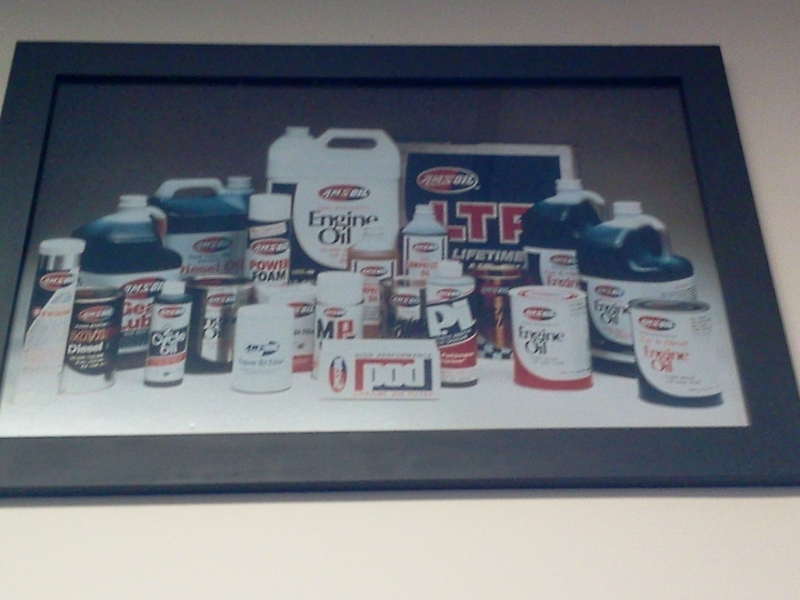 Do you know if AMSOIL has ever considered making a ZRT 5W-30 oil? Hello, Sorry for the response a year later but this website was never suppose to take messages. We recieved 10,000 spam emails and found one (yours) which wasn’t spam today after stopping them and spending weeks fixing this.. Anyway because it’s synthetic it will still be available when you need it. Either way, it’s still a 30WT but the W (winter) grade is a measure of torque loss (brookfield viscosity) so that doesn’t necessarily mean it won’t be there to lubricate. A 5W and 10W have a LARGE window of error so a conventional 5W could be much heavier than a 10W just after a few hundred miles at low temps.. But to better answer your question I would use our #1 best sellinig High Zinc oil. I use it in my Corvairs, AMC Eagle and other classics. The HDD 5W-30. It’s 100% synthetic and will outperform the Z-Rod oils.